Meadville Sportsman’s Club in northwestern Pennsylvania held the Quinn Insurance 200 on July 21. The weather was interesting: first flight – partly sunny and cool; second flight – light, but steady rain; third flight – heavy rain throughout; fourth round – overcast and windy; shoot-offs – partly sunny and a bit warmer. Eighteen shooters shot 200 12-gauge targets each. Dale Snow was HOA champ with a very nice 196; Ernie Avolio was close behind with a 195. 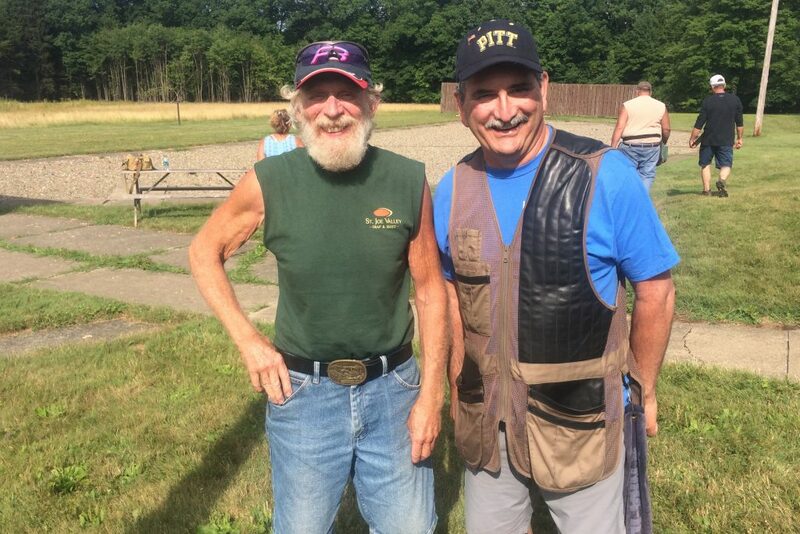 The first 100, the “12-gauge east,” was hotly contested with five shooters – Avolio, Paul Augustin, Steve Best, Mike Rykacewski and Josh Crofutt – nailing 97 targets and vying for the championship. Shoot-offs were needed to determine champion and every class first place except D class. Avolio won the shoot-off of 97s and was champ, with Josh Crofutt taking A1 and Mike Rykaczewski B1. Mark Johnson was C1 after winning a shoot-off of 96s with Kurt Supernowicz. Carl Biddle took D1 outright with his 89, but Marie Palmer had to win a shoot-off of 85s with Willis Proctor to take E1. A delicious and plentiful lunch of chicken (roasted or fried), potato salad, pasta salad, chocolate chip cookies, and soft drinks was provided by Kevin Withers (The Cooking Caterers). The “12-gauge west” began around 3 p.m., as did the heavy rain. The weather was apparently no problem for the shooters, however, as Dale Snow ran them and took the championship outright, and good scores were everywhere. Class winners included Avolio AA1 (98), Scott Holman A1,after a shoot-off of 97s with Augustin and Crofutt, Rykaczewski B1 (96), Supernowicz C1 (95), Biddle D1 (94) and Palmer E1 (91). Kudos to Samuel Marks who did yeoman service registering shooters, posting scores and managing shoot-offs, as well as keeping a cranky trap in line and pulling and scoring in the pouring down rain. Other referees and helpers included Sam Marks, Keith Snow, Milt Lang, Larry Price, and Mark Johnson – thanks so much, guys. Many thanks to Jeff Quinn (Quinn Agency, LLC) for sponsoring the shoot. 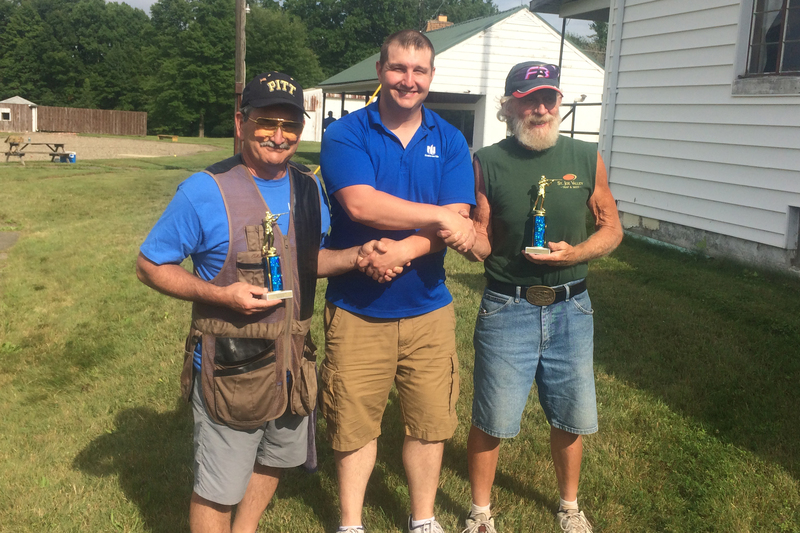 Jeff, being the good neighbor that he is, also presented gun champ and HOA champion and runner-up trophies to the winners.